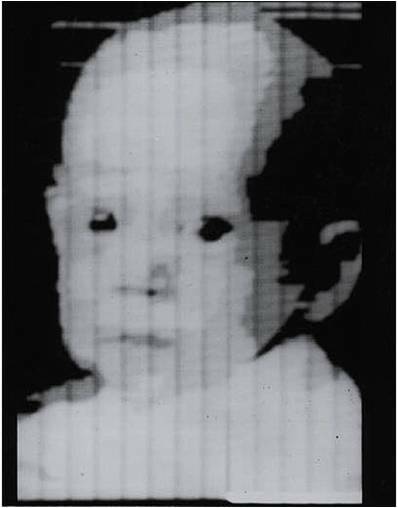 In 1957, computer scientist Russell Kirsch asked the question “What would happen if computers could look at pictures?” The result was this first digital photograph, a 127x127 pixel (5x5 cm) image of his son, Walden. Kircsh, Russell, The first digital image made on a computer – 1957. 57HIS001. NIST. Accessed: 23 July 2010.